Between Seahawks’ trio of stars with expiring contracts, who will end up on the short end? You just completed a 10-win season when you were supposed to be a built-in bye week for the rest of the NFL. You revived a running game that went from one of the worst in football to the best in one season flat. Moreover, you have one of the NFL’s best quarterbacks coming back, the NFL’s best linebacker coming back and a top-of-the-line pass rusher you can lock up long term. Your reaction? This could be a big problem. 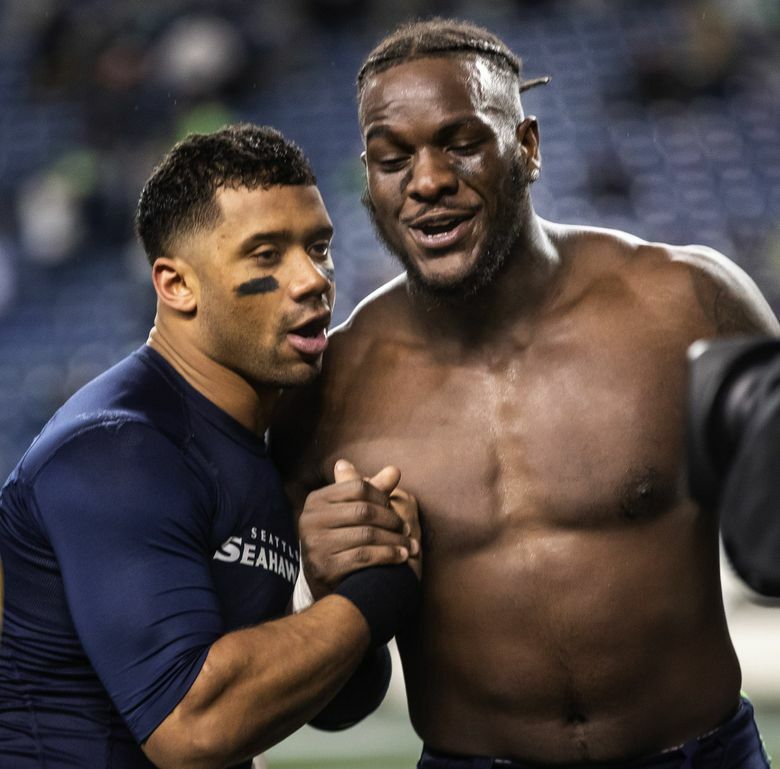 When the Cowboys inked defensive end DeMarcus Lawrence to a five-year, $105 million deal Friday, Seahawks DE Frank Clark tweeted out two dancing emojis to celebrate. Given how Clark’s pass-rushing numbers are slightly better than Lawrence’s, the signing instantly skyrocketed his value on the open market. But given that Seattle QB Russell Wilson just gave the organization an April 15 deadline for what could be a $35-million-a-year contract extension, and that five-time Pro Bowl middle linebacker Bobby Wagner is on the last year of his deal, can this team really afford to retain all three? Remember, the teams of the six highest-paid quarterbacks in the league all missed the playoffs last season, and it’s likely because there wasn’t enough money to plug the leaks in their more vulnerable areas. Sign all three to long-term deals? This guarantees they’ll have three impact players for at least a few years if they all stay healthy, but it’s akin to buying a Porsche, Lamborghini and a Ferrari while living with two roommates in a trailer. This isn’t the NBA, where you can surround a few stars with scrubs and expect to win incessantly. Tom Brady takes a pay cut every season for a reason — to give the Patriots as complete a team as possible. It’s kinda worked. Lock Wagner and Clark up and give Wilson the franchise tag next year? I don’t see Wilson sitting out next season if he doesn’t get what he wants. No quarterback has ever done that. And this move guarantees the Seahawks at least two more years with Ciara’s 30-year-old spouse, whose mobility will only decline with age. Can they draft well over the next couple years and replace him? Instead of making him the highest-paid quarterback in football, could they spread that cash around to build another dynasty? Lock Wilson and Clark up but don’t extend Wagner? Wilson is one of the best in the game, and these days, it’s nearly impossible to win without a great quarterback. And though Clark isn’t at the top of his position like Wagner is, his position is more valued. Next to quarterback, the most vital piece to a team is the guy who can get the quarterback, and Clark’s 32 sacks over the past three years (including 13 last year) suggests he can get to them better than most. At the same time, nobody knows how Clark will react once he gets his money. And this is Bobby Wagner we’re talking about — a likely Hall of Famer who missed just one tackle last season. Can you really risk losing him? And more immediately, can you risk him sitting out in protest? No. So the best solution? Lock Wilson and Wagner up and give Clark the franchise tag next season. Clark won’t be happy if he is denied a long-term extension this offseason, but he isn’t going to sit out. Accomplished as he may be, the former late second-round pick has only earned $3.8 million in his four-year career. That’s more than most people reading this column will make in their lives, but it’s less than a fourth of what he’d earn next year if he played under the franchise tag. It would be one thing for Wagner to sit out considering he has already banked more than $35 million. Clark, who has a wife and child, has pocketed about a tenth of that. So this seems the most likely route for the Seahawks, but I’d stop short of saying you should expect that. The one thing you should expect? Offseason drama, as per usual.